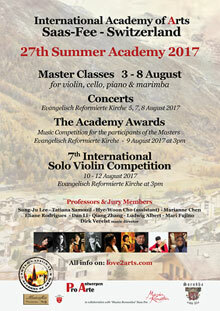 Dan Li is a Belgian violinist and violin professor at the Xinghai Conservatory of Music in China. She graduated from the Royal Belgian Conservatory of Music (Ghent) with a master's degree. Prior to that, she graduated from the Shanghai Conservatory of Music, and got her Bachelor's degree. Her supervisors were Professor Rudolf Werthen (violin), Professor Marcel Lequeux (chamber music), Professor Lee Keqiang and Professor Zheng Shisheng, among others. She received high acclaim as the soloist, the first violin of the Quartet and concert master of the Guangzhou Symphony Orchestra. 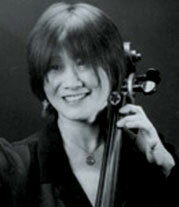 She got the first prize for trio and second prize for duet in 1997 at the Rotary International Chamber Music Competition. Since 1996, she has been employed in the most famous European chamber orchestras, such as I Fiamminghi, the Royal Philharmonic Orchestra of Belgium, and the Belgian Broadcasting Orchestra. She has performed in many countries and regions around the world and recorded a large number of records with world-renowned record companies such as TELARC, EMI and SOF. In November 2003, Dan was recruited for the Xinghai Conservatory of Music in Guangzhou as a violin Professor. Her students have won over 30 awards at different music competition, and she received the best mentor award several times. Tatiana Samouil is a Russian violinist. She entered the Moscow Tchaikovsky Conservatory to study with Sergey Fatkulin and Maya Glezarova, receiving Special Mention with her diploma. She continued to study for a master's degree at the Royal Conservatory of Brussels under Igor Oistrakh, and completed her studies with José Luis García at Madrid's Queen Sofía College of Music. Tatiana won the 3rd Prize at the 2002 International Tchaikovsky Competition, the 1st Prize at the Prix Henry Vieuxtemps and Tenuto Competitions, as well as numerous prizes at the Michael Hill, Jean Sibelius and Queen Elizabeth competitions. As a soloist, Tatiana has appeared with orchestras from all over the world. As an active chamber musician, Tatiana regularly works with such artists as Caussé, Dumay, Helmerson, Labèque, and Wieder-Atherton, as well as the recently founded Malibran String Quartet. Tatiana's 2006 debut album of the complete Prokofiev violin sonatas with pianist Plamena Mangova received excellent reviews. In 2009, she recorded Luis Gianneo's Aymara violin concerto with conductor Luis Gorelik and the Salta Symphony Orchestra. Tatiana plays a 1714 Stradivarius, once owned by Fritz Kreisler. Since 2010, she is also playing on a violin built especially for her by Christian Bayon. Eliane Rodrigues was born in Rio de Janeiro. Her musical talent was discovered by Helena Guimarães Galo and Arnaldo Estrella, and she later studied with Jacques De Tiège at the Conservatory of Antwerp. She played her first recital at the age of 5 in the Teatro Mesbla in Rio de Janeiro and had her first TV performance at age 6 with the Orquestra Sinfonica Nacional conducted by Alceo Bocchino with a Haydn concerto, and twice again the same concerto with the Orquestra Sinfonica Brasileira conducted by Eleazar de Carvalho and Isaac Karabtchevsky. At age 7, she performed Mozart's KV488 with the Orquestra Sinfonica Nacional conducted by Edouard van Remoortel. In the USA, she received the "special prize" of the jury at the Van Cliburn competition, and made an indelible impression with Beethoven's 4th piano concerto at the Queen Elisabeth Competition in Belgium. In 1994-95, she wrote her 15 Momentos Musicais and composed the Sonate Oubliée with themes from her childhood. Her Suite #1 "Rio de Janeiro" for piano and orchestra premiered on August 9, 2000. Eliane Rodrigues also played and recorded the 5 concerto's for piano from Sergei Prokofiev with the St. Petersburg Philharmonic Orchestra. Over the last few years, Eliane has also won great acclaim as a conductor. Eliane Rodrigues is professor at the Royal Conservatory of Antwerp. Qiang Zhang is violin Professor, Head of orchestral department of Xinghai Conservatory of Music in Guangzhou, supervisor for master students and senior violin designer. Qiang Zhang began to play violin since his childhood under the instruction of his father, Professor Guozhu Zhang. He majored in violin and graduated with honors from the Shanghai Conservatory of Music in 1989. He was violin teacher at the Xinghai Conservatory of Music in Guangzhou from 1989 to 1995. He was supervised by Professor Rudolf Werthen (violin) and Professor Marcel Lequeux (chamber music) at the Royal Conservatory of Music in Belgium since 1995, and got his master's degree. He won the first prize at the Rotary Chamber Music Competition in Belgium in 1997. Since 1996, he had been employed in I Flamminghi, one of the most famous chamber orchestras in Europe, the Royal Philharmonic Orchestra of Belgium, and other orchestras. He performed in many countries and regions and recorded a large number of records for world-renowned record companies. Qiang Zhang returned to the Xinghai Conservatory of Music in Guangzhou as a violin Professor in November, 2003. Since then, his students have obtained nearly 30 competition awards. He held a number of solo and ensemble concerts which received high praise, and also organized many student concerts. He often gives lectures, and participates in master classes. He is active in scientific research and has presided over the completion of provincial key scientific research projects with a large number of Chinese and foreign musicians, such as the "Research of violin technology training in China". He has been deployed by the Guangdong Provincial Government to participate in educational supervision and evaluation. Internationally highly acclaimed, Ludwig Albert belongs with the top-flight of marimbists nowadays. 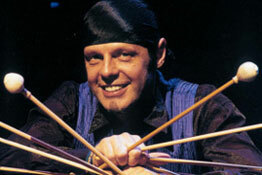 After obtaining with greatest distinctions a First prize Percussion, the Superior Diploma and a Masterdegree specialisation marimba at the Royal Conservatory of Music in Antwerp (Belgium), he was in 1994 the first Belgian marimbist admitted to the Toho Gakuan Music School in Tokyo, where he studied marimba specialisation with the Japanese marimba-virtuoso Ms. Keiko Abe. Afterwards he was invited by Ms Abe and performed with her on several concert tours. Starting 1995 Ludwig Albert searched for new sound-combinations and founded the duo "Patrasche" with the unique combination of marimba and voice. They mainly perform Albert's own compositions, creations and improvisations, all based on International traditional folk songs. As Professor marimba he created Europe's first Marimba Master department and degree at the Royal Conservatory of Antwerp. He also established a marimba training at the Leuven University College of Arts (campus Lemmens Institute).